Congratulations! You have your first ever teaching job. In a tough job market you were one of the lucky ones who got a job after graduating and are getting ready for your first day as an official high school teacher. Now Relax. No, your classroom will not look perfect or be complete on day one. You do not need to have planned the curriculum for every class for the entire year, or have made enough copies to kill a forest. Your room and lessons will not look straight out of your favorite teaching blog, because that teacher has been teaching for years and is only showing you the polished side of what they do trying to make themselves look better (myself included). 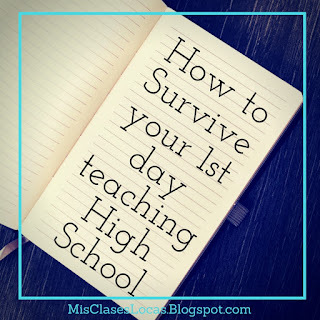 So here is the advice I wish I had been given before my first day teaching high school. Eat - It is pretty simple concept, but if you are anything like me and start to cry when overwhelmed, frustrated or upset while also being hungry, eating can make all the difference. Make sure to have a good breakfast, and pack a lunch and snacks for your big day. Have a granola bar or a piece of chocolate during your prep while sitting by a blasting air conditioner will give you the strength to keep on going. Pack a lunch because the hot lunch system is always a mess day 1 and you do not want to waste your precious 25 minutes waiting in line in the cafeteria, but rather getting tips from veteran teachers in the teachers lounge with your sack lunch. Finally, bring a bottle of water and have it in the front of the classroom. Having your teacher pass out of heat stroke day one is not exactly the first impression you were going for. Breathe - No, your first day will not be perfect, and in that moment when a student says something so rude you want to scream at him across the room, turn around take a sip of your water and take a couple deep breaths. No, you will not get through a third of what you thought you would the first day, but there are 179 more to go. Who are they? - Get to know their names, the sooner the better. Knowing their names week one is a huge behavior management technique, as well as shows you care about them. Study the yearbook, and impress them by greeting them each by name the next day. Who are you? - As the brand new person in their high school bubble, they will not be able to hear a single thing you say until they know the following about you: Do you have a boyfriend/husband/kids? What activities and sports were you a part of in high school? How are you going to affect my life as a hard/mean/pushover teacher? Do a little presentation to introduce yourself to them, and including embarrassing old photos is a bonus so you can laugh together. Have fun! - Day 1 is notorious for being the boring syllabus day. Do something to get the kids excited about your class. Read Teach Like a Pirate for some great ideas. Go Home! - Do not stay in your oven of a classroom for hours obsessively planning for the next month. Get everything ready for day 2 and then get an ice cream treat on your way home to celebrate your accomplishment. Call your mother - After your first day your mom will be more anxious to hear about how it went than your first day of Kindergarten. She will tell you she is proud of you and make you fee better about wearing grandma shoes. Celebrate! You did it! You are now a seasoned, real teacher. Go out there and change the world! 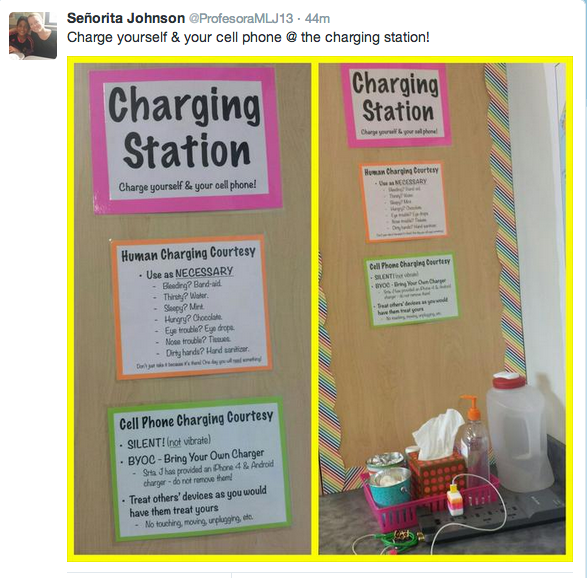 A great idea from @ProfesoraMLJ13 is a charging station for both electronics and students! Since we are going 1to1 with laptops I think this is a must for my classroom this year. This is a great blog post by Cynthia Hitz @sonrisadelcampo, including a lot of great ideas of what to do on the first days of school in a foreign language class. The issue is now I have so many ideas, I do not know what I will end up doing day 1! This article by the New York Times, while in English would make a perfect addition to an immigration unit. 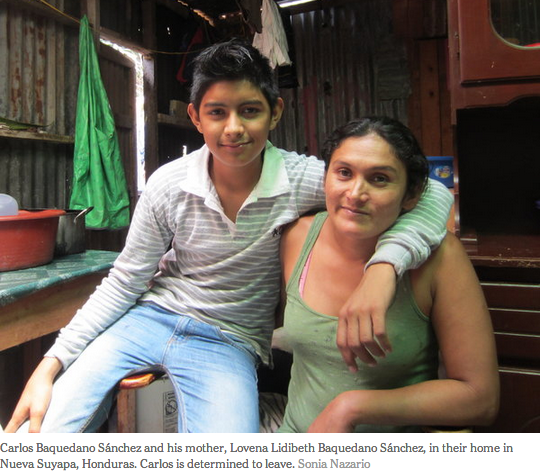 The year my Spanish 4 will be reading Cajas De Carton and Spanish 2 Esperanza, both with a huge immigration theme. 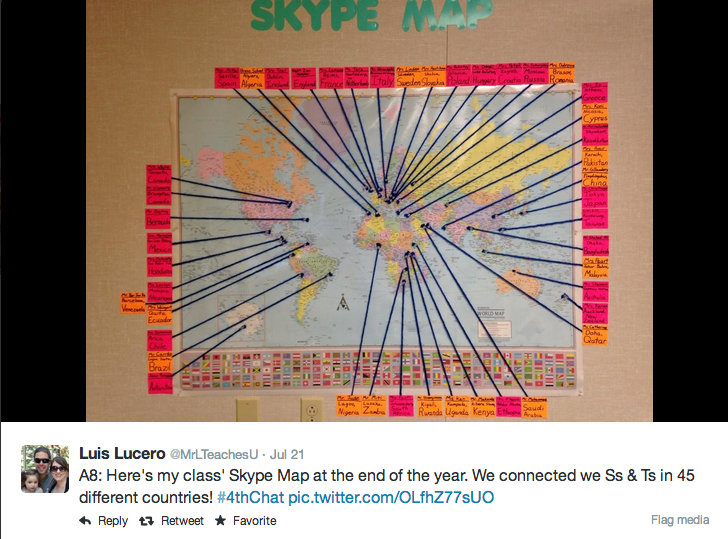 How awesome is it that @MrLteachesU and his class connected with teachers and students in 45 different countries! That is a pretty lofty goal, but I would love to even connect with another group of students from a Spanish speaking country on a regular basis. The map in the room is a great representation for parents and administrators who walk in your room, they can easily see what you have been up to. 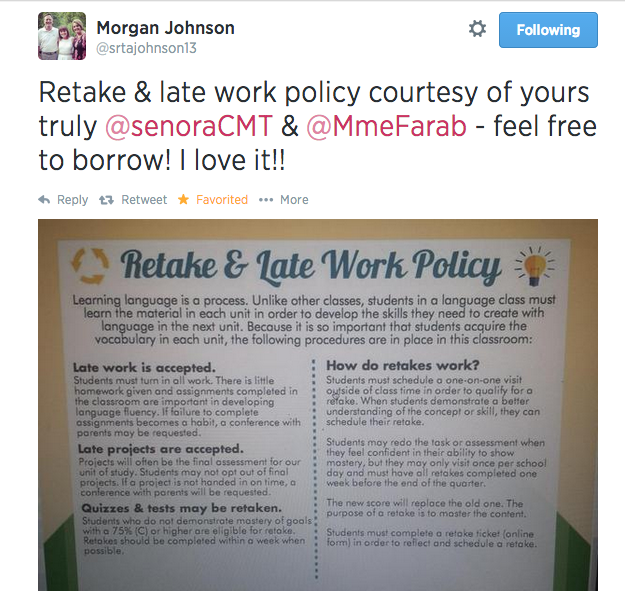 A great example if how quick a #langchat collaboration can come together is this retake and late work policy put together by @srtajohnson13, @SenoraCMT & @MmeFarab. 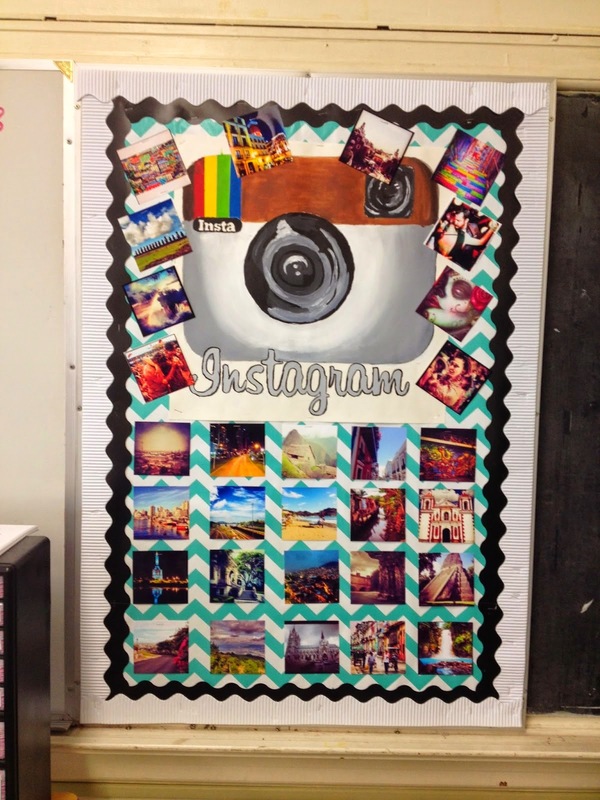 I am really considering implementing the same one in my classes this year. I know I teach high school, but on my shelf I have containers of colored pencils, markers, scissors, glue and crayons because in a world language class we tend to get a little creative sometimes :) Here are a few of the deals I have seen so far that other teachers may be interested in from places you might not think to look. 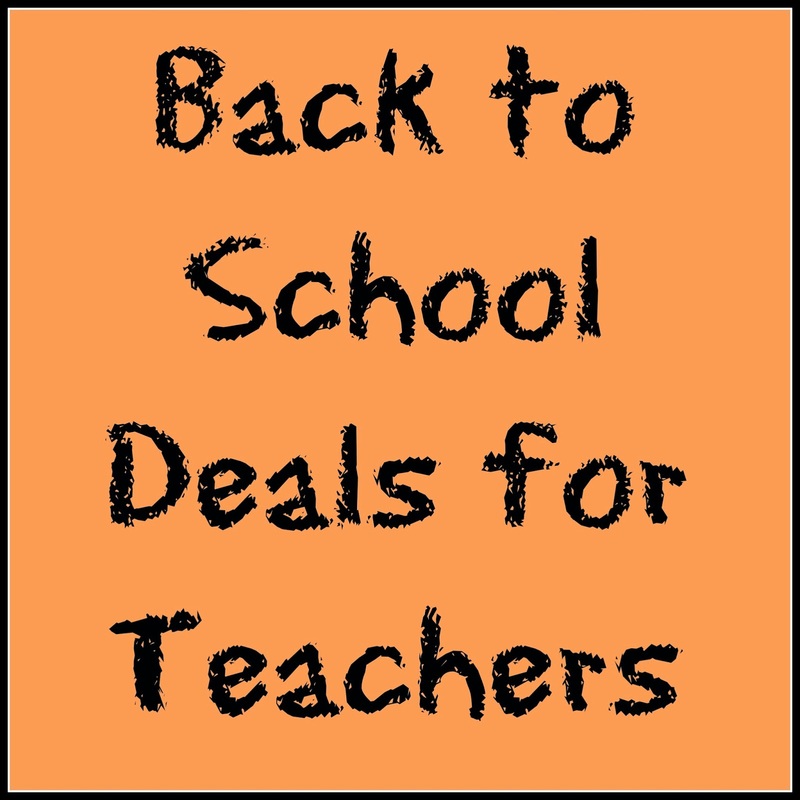 For a complete round up of updated sales at many big stores check out Passion for Savings. It's that big 1¢ in the middle that gets me! 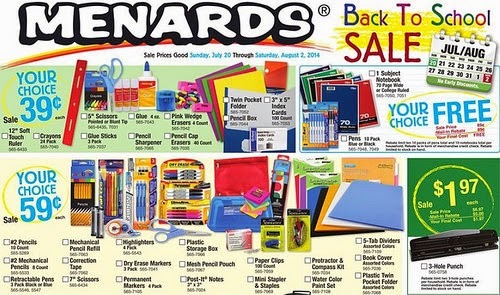 While a lot of these items are more elementary geared, but I may need to pick up some 25¢ white glue for end of the year piñata making fun. 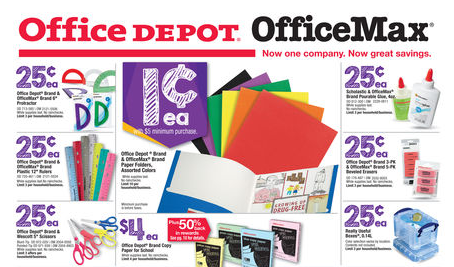 The last few years Staples has been my go to place with different 1¢ deals each week leading up to back to school, as well as their teacher's reward program. While I do not think they are doing the 1¢ deals this year, this week there is a promotion for FREE mechanical pencils (after rebate). What great deals have you found this year? 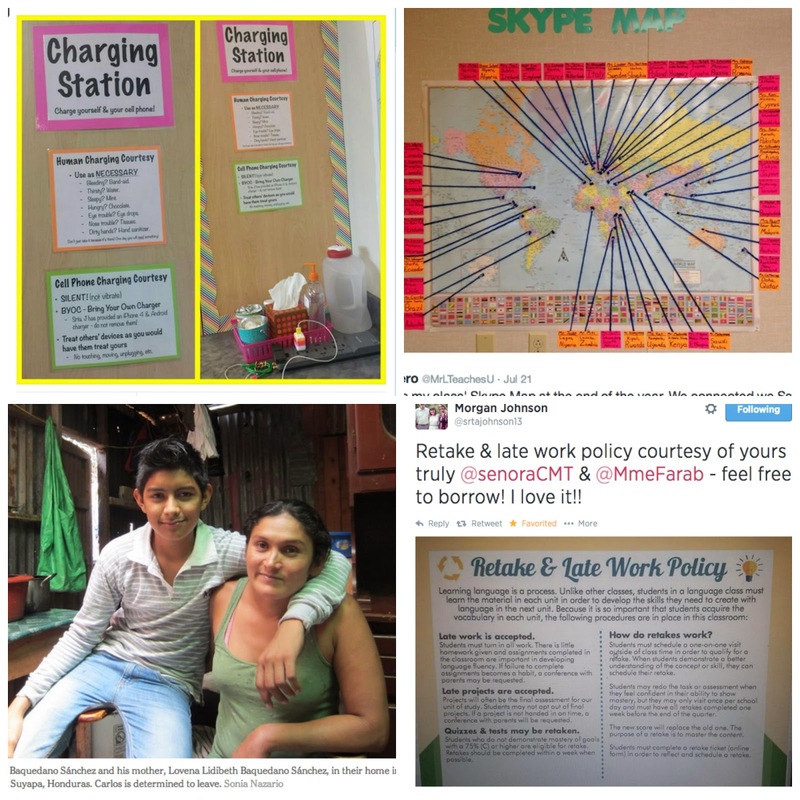 The always wonderful Martina Bex of the Comprehensible Classroom posted this great post about output in the foreign language classroom. 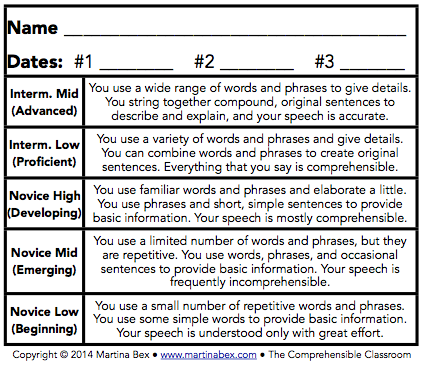 It included this FREE download of awesome speaking rubrics that I can not wait to use in class for formative assessment. This is something I have struggled with evaluating and I hope these rubrics will be the solution. What a cute ideas as seen on this post for a word wall. I did a post about my classroom word wall and have been trying to decide how I would revamp it this year. Since my board is a chalkboard, hanging ribbon and using clothespins to attach the words would eliminate my peeling off the chalkboard again using any sort of adhesive. 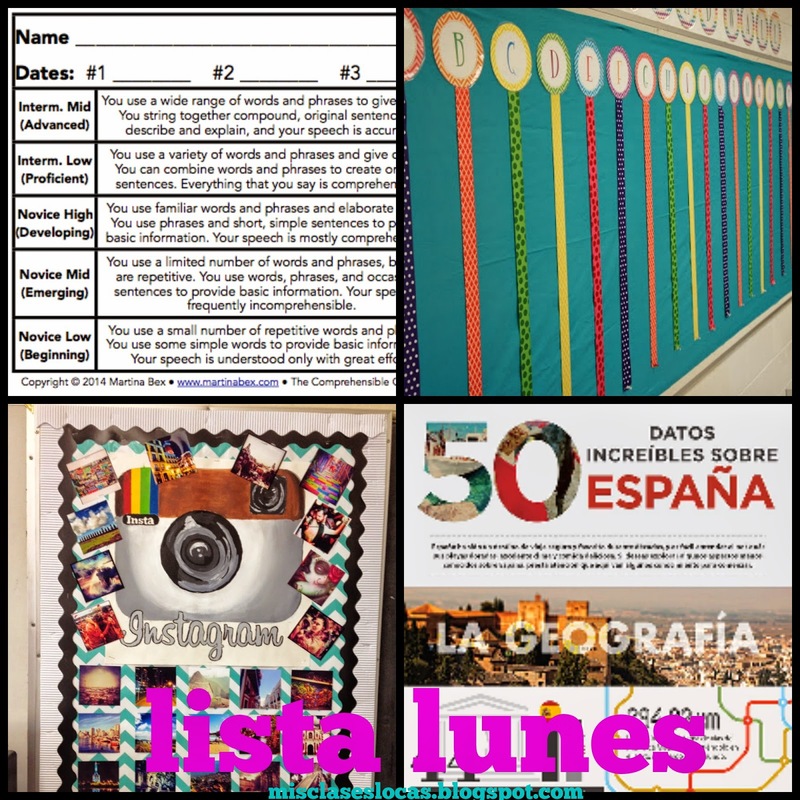 I have been inspired by this post to change up my Spanish speaking countries of the world bulletin board to an Instagram theme, much more relatable to the kids! This would be great for so many different uses in class, not to mention I even learned a few new fun facts. 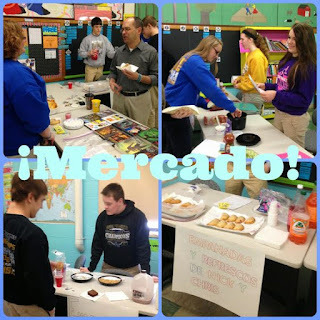 One of Spanish II's favorite days of the year was our class market. They loved that they got to eat a lot of food, I loved that they got to practice a real world skill and spent almost the entire class period speaking to each other completely in Spanish! My second year having a mercado was WAY better than year one's thrown together attempt. 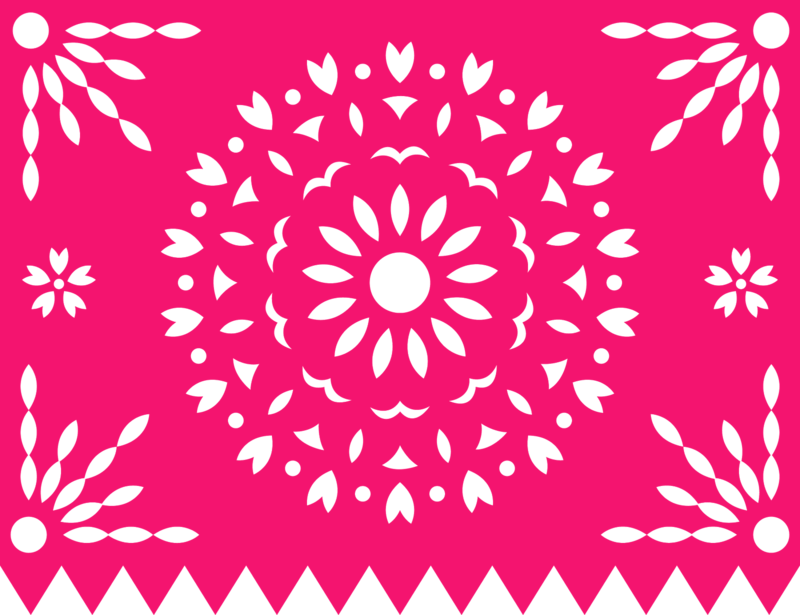 Here is what I learned was necessary for a successful mercado in the target language. 1. The specific phrases for bargaining and shopping must be taught. My first year I did not think of going through phrases like "deals here!" "that's too expensive!" or reviewing large numbers. This year as a class we came up with the phrases that they thought they would need and I created a 1/2 Mercado Help Sheet for them to reference if they needed it. 2. Everyone needs to be prepared. Having the market date set way in advance made sure that kids had enough time to gather supplies and not forget to bring them the day off. Year 2 I told the students in advance how much money they would each receive - 70 fake lempira (Honduras) as 1-$20, 2-$10, 4-$5 & 10-$1. This way they could price their items accordingly. I printed out the money each on a different colored paper found in this awesome product from Spanish Nobility. Helpful students from my homeroom cut and sorted the money each into the sets of $70. At the end of the first class, they sorted the money back into the stacks for the second class to use. 3. Everyone needed to be both the seller and a buyer. Year 1 I let students choose, but then they only got one side of the experience. Year 2 each pair or individual seller also had to sign up in advance for what they would be selling. (To make sure that no one actually needed to spend money on supplies they could bring in items from home to "sell" such as shoes, DVDs or books, but got all items back at the end of class.) Each store had to make a sign to advertise their product. On market day about every 10 minutes I would rotate who was selling and who was buying. The groups had to be switched up more than just A & B, since students wanted a chance to buy the treats in their own group. 4. You have to PRACTICE. This year by accident we ended up with an extra day before our market. (We realized it would not work well at Catholic school on a Friday during lent). This ended up being a blessing in disguise as we spent a ton of time having an inside-outside circle where everyone practiced being both the seller and the buyer, using their notes if needed. At this point everyone knew what they were selling and for how much, so they could really get into their character. 5. Have a Reward. I have very competitive classes that love trying to one up each other. To make sure that everyone was actually trying to sell their goods, and so the buyers got the pushy salesperson effect of international markets, we had a competition for who could make the most "money." 6. Keep them accountable. I walked around with a clipboard (not actually writing anything down except noting the couple of students who were off task in English) and bought items from each store, making sure to bargain and haggle for the best deal like I do in real markets. 7. Invite guests. I invited the social studies teacher next door, who also happens to be a native Spanish speaker, to shop as well. It was great for the kids to see him actually speak Spanish and to give them the challenge of someone coming in and actually using Mexican slang. I also invited our principal, so he could really see the kids in action using their Spanish to communicate with each other. 8. Try & Try Again. The feeble first year market taught me a TON about what I needed to change and adapt to make it more successful, and it did! It was one of those days that people walking down the hall though it looked like pure chaos in Spanish land, but that noise and excitement was everything I could have hoped for with 23 kids simultaneously speaking Spanish, while stuffing their faces with homemade enchiladas at 7:30a.m. Here's to living the Spanish class dream! 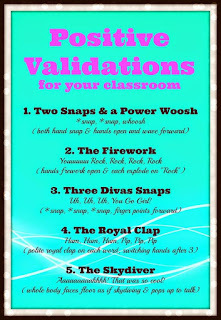 Positive Validations are a fun and engaging way to praise a group or individual using phrases and gestures. I have used them with any age, from babies to college students. Instead of just saying "good job" or clapping after a student courageously speaks in another language in front of the class, use one of these creative sayings instead. I learned about Positive Validations from my amazing former Camp Adventure supervisor, Jazele Zabala. She had the most fun staff meetings (with college students) peppering in "3 divas snaps" (uh uh uh you go girl!) for a job well done or "2 snaps & a power woosh" for someone who went above and beyond. That summer of camp I integrated these validations with the school age children I was working with and they LOVED them. There is a tremendous power in having a whole group of your peers give you the the "rock star" (dunanana rock on dude!) or "skydiver" (aahhhhh that was so cool!) They were such a hit that Jazele did her Master's research project at UNI on Positive Validations and created a cardfile of 100 of them for the Camp Adventure program. I have then taken these original ones (in English) and created new ones in Spanish to use in my classroom. 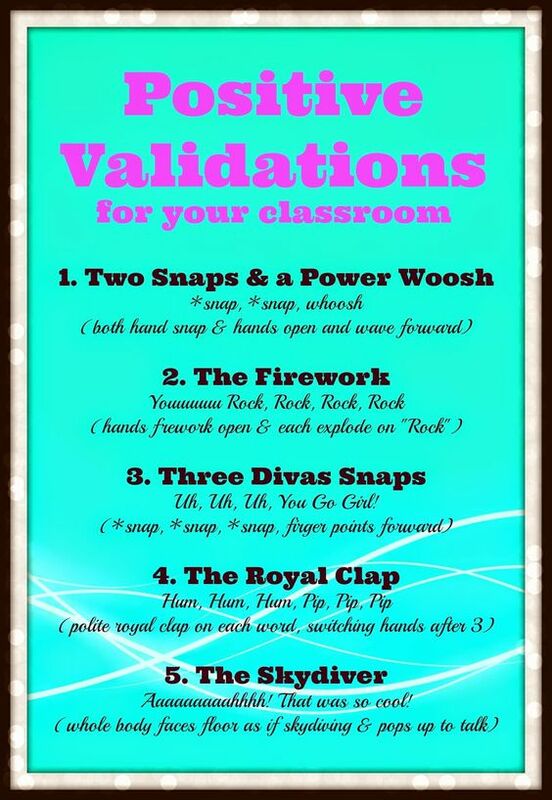 Why should I use Positive Validations in my classroom? For most kids, speaking in front of the class is the task they hate most, and this goes triple for foreign language. I teach high schoolers who are constantly concerned about what their peers think of them, and never want to look dumb or embarrass themselves in front of others. Knowing this I try and get my students in front of the class early and often to lessen this fear and make it ok to make mistakes while speaking this new language. 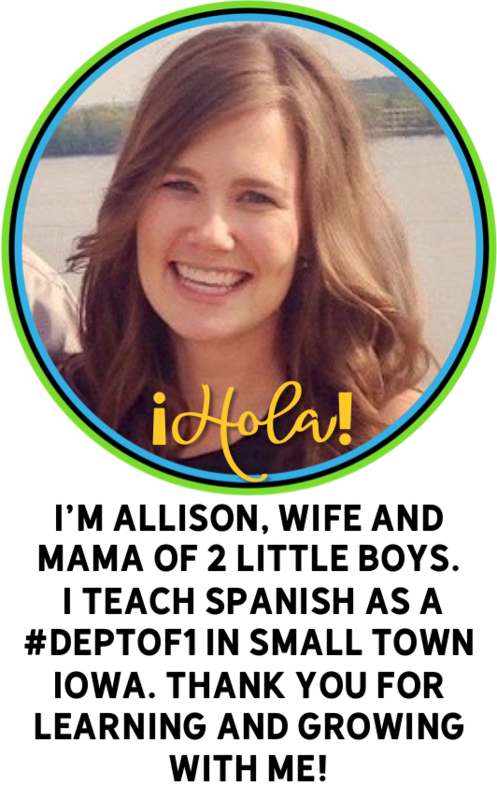 I want them to know that every time they get up in front of their peers and speak Spanish they will be given positive feedback and know they are appreciated, so they are positively validated in a fun way. How can I Implement them in my classroom? Every day in my class starts with the Bienvenida (another great idea taken from the Creative Language Class), where a different student welcomes the class and asks basic questions to get the class started. After this student speaks as a class we give them a Positive Validation, such as a "fabuloso" (say with big jazz hands in front of face) or "aplauso de los royales" (polite royal clap saying hum, hum, hum, pip, pip, pip). My students all have their favorites and even create their own new ways to praise their peers. Also, any time we do presentational speaking assessment in front of the class, each individual or group receives a Positive Validation after speaking. Sometimes I will just give a student or the whole class a "fantastico" (with arms shooting out overhead) or a "3 latidos" (3 heartbeats, each time tapping chest twice." I know they sound cheesy and corny, but that is because they are, but they work! Sometime you have to do little goofy things (see baile viernes) to build that sense of community within your class and make it ok to make mistakes and grow from them. Everyone loves getting compliments and even an adult can not help but smile when they are given "the firework" and told youuuuuu rock, rock, rock! I just have a quick tip for those of you who have SMART boards in your classroom. When I started at my current school, I was very fortunate that there happened to be a SMART board in my classroom. 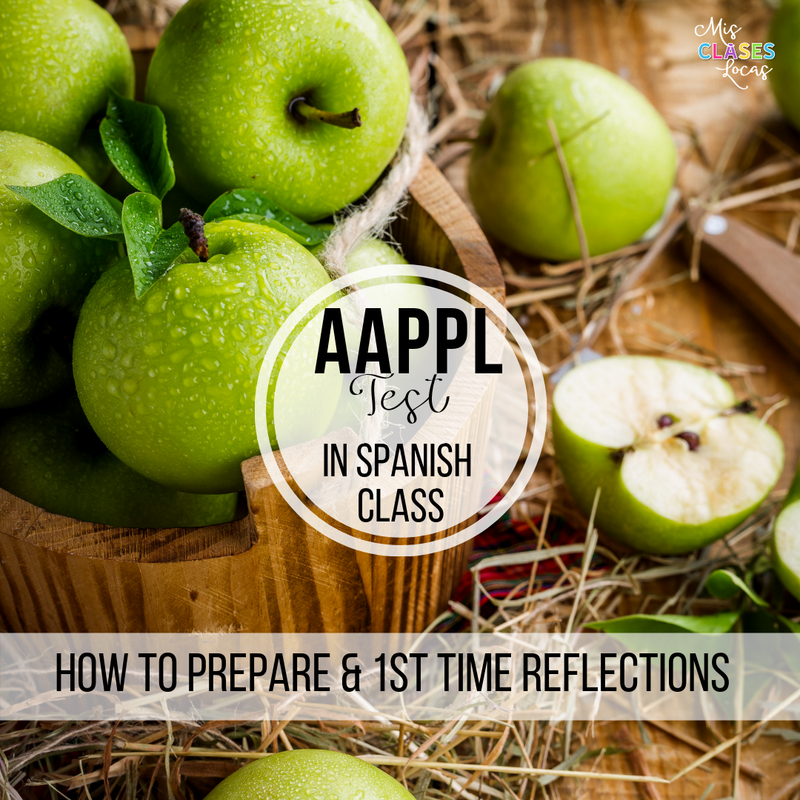 A few had been bought the year before for core classes, but after one teacher requested that the board be moved into a class that would actually use it, the Spanish department was lucky enough to get it! I will admit my first year I did not utilize it to its full potential. I used the projector everyday, but did not have time to mess with creating presentations that utilized the interactive features. This all changed when a tech savvy college asked if I had heard of the SMART Exchange website. 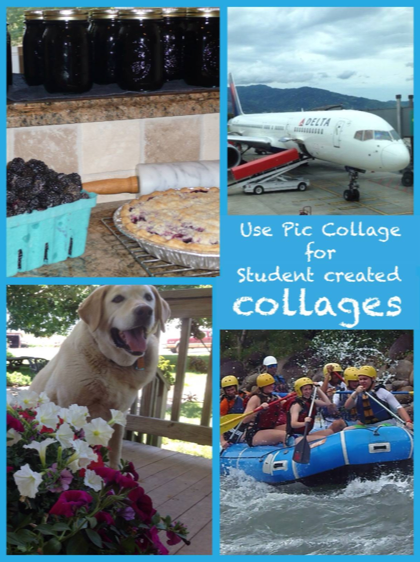 It is a place for educators off all subjects to share resources. It is similar to Teachers Pay Teachers, but completely FREE. After creating an account and browsing the presentations available, I was amazed at all of these FREE resources. While of course there are very few that I would be able to use as is, there are tons of great ideas that can be used as templates with the interactive gadgets and games already imbedded in the presentations. There is no need to reinvent the wheel! What are other resources you have found for SMART boards?